Adoption may be accomplished either by a direct placement by the parent or guardian (with courts approval), through a process involving the Department of Health and Human Services or through a child placement services agency. 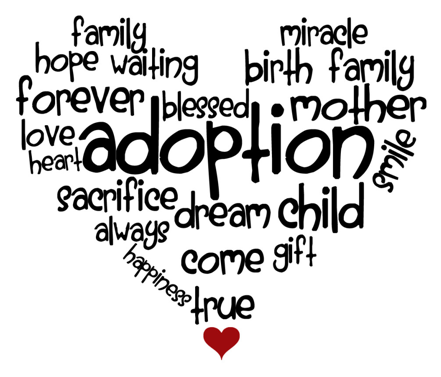 Anyone can be adopted - it is not just meant for “orphans” or children in need. Bringing a new child into a family is an exciting and emotional process, which can also be incredibly stressful. At Davison Legal Associates, P.C., our lawyers walk families through the adoption process with personal attention and practical advice. We take the time to ensure that families always know what is coming next, so they can feel comfortable with the process. One of the most common types of adoption we see is stepparent adoption. This is used by many families to legally establish a relationship which already exists between a child and a stepparent. We make sure that our clients are aware of the legal implications of these adoptions, giving them the information they need to decide if this is the right choice for their family. If it is, our knowledgeable attorneys will represent them throughout the process, helping to make their family complete.